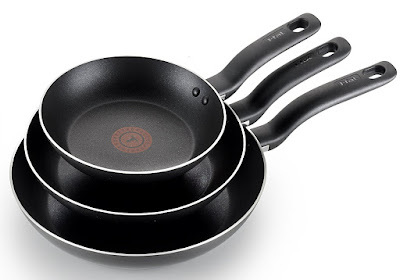 Hurry over to Amazon where you can score this T-Fal 3-Piece Frying Pan Set for only $14.99 (Retail $29.99). This T-Fal set includes three dishwasher-safe pans measuring 8″, 9.5″ and 12″. All are oven safe up to 350° and come with a lifetime warranty.